This Fallbrook residence was littered with human waste, trash, and maggots throughout; after squatters were living there. The cleanup required removal of all the laminate flooring; deodorizing and sealing the subfloor; removal and disposal of all the upholstered furniture along with the replacement of the baseboards. The decontamination of a home or business due to trauma, sewage backups, chemical spills, hoarding or other biohazards can be both dangerous and emotional. Specialized training and experience is key when choosing a cleanup company to resolve these circumstances. Please refer to our Biohazard Emergency Tips - Until Help Arrives Guide and follow these tips to protect yourself and your property. 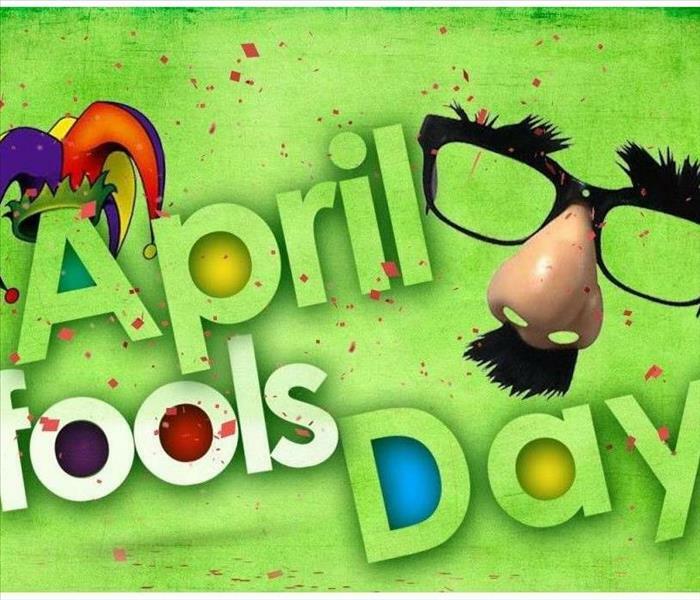 April Fools’ Day – also called All Fools’ Day – is one of the most light-hearted days of the year, though the origins are uncertain. Some may see it as a celebration related to the turn of the seasons, while others believe it comes from the adoption of a new calendar. Ancient cultures, including those of the Romans and Hindus, celebrated New Year's Day on or around April 1. In medieval times, much of Europe celebrated March 25, the Feast of Annunciation, as the beginning of the new year. In 1582, Pope Gregory XIII ordered a new calendar to replace the old Julian Calendar. The new calendar called for New Year's Day to be celebrated Jan. 1. That year, France adopted the reformed calendar and shifted New Year's day to Jan. 1. According to a widespread exposition, many people either refused to accept the new date, or simply did not learn about it, and continued to celebrate New Year's Day on April 1. Other people began to make fun of these traditionalists, sending them on "fool's errands" or trying to trick them into believing something false. Eventually, the practice spread throughout Europe. Additionally, It is worth noting that many different cultures have had days of foolishness around the start of April, give or take a couple of weeks. The Romans had a festival named Hilaria on March 25, rejoicing in the resurrection of Attis. The Hindu calendar has Holi, and the Jewish calendar has Purim. Perhaps there is something about the time of year, with its turn from winter to spring, that lends itself to cheerful, humorous celebrations. April Fools' Day is observed throughout the Western world. Practices include sending someone on a "fool's errand”, looking for things that don't exist; playing pranks; and trying to get people to believe ludicrous things. We may see dust or particles in the air, and brush it away, not thinking twice, assuming it is an unstoppable force. 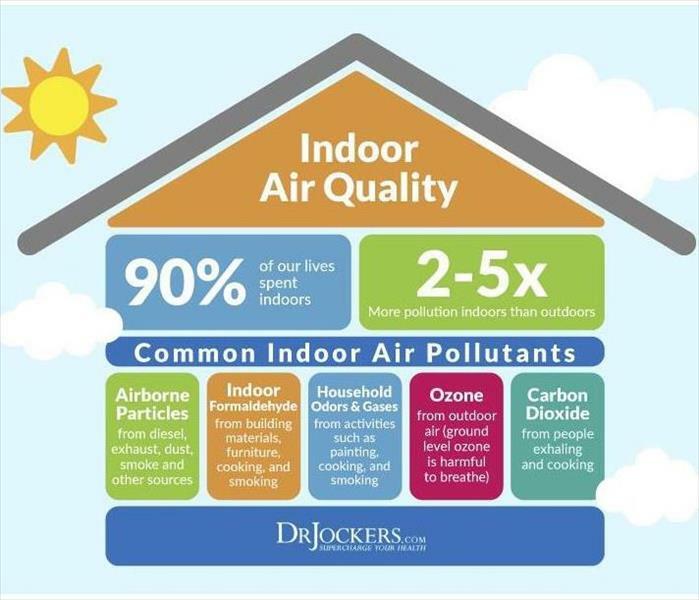 According to the EPA, Americans spend around 90% of their time indoors, but indoor levels of pollutants can be up to five times higher than outdoor pollutants. While most people generally associate us with Fire & Water Restoration, SERVPRO offers so much more than that! As spring approaches, and spring cleaning is on everyone's mind, it is the perfect time to consider having SERVPRO of Del Mar come out for a duct cleaning as part of your spring cleaning. The average home in the United States collects around 40 pounds of dust annually, and the dust in your home is made of skin cells, pollen, pet dander, and more. It gets kicked up, enters the surrounding air, and viruses, bacteria, and allergens enter your respiratory system. When pet dander enters the air, it can flare up allergies, causing sneezing and itchy eyes, without having even touched your pet. 1 in 12 Americans have symptoms of asthma, an inflammatory condition affecting the airway. Moreover, pests, such as mice, might use your vents and leave behind oils, skin cells, and waste that stays in your vents and festers. The results of an infestation could blow harmful bacteria into the surrounding air. Mold spores can also spread through air ducts and some mold may even grow in the ducts themselves. If you have water damage anywhere in your home that leads to mold, this could spread to the air and damage other parts of your house. For more information on HVAC and air duct cleaning, call us today at 858-587-1722. Pi, which is often represented by the Greek letter π , represents the ratio of a circles circumference to its diameter. It is an irrational number, meaning its decimal is infinite and its exact value cannot be determined. Pi is the most recognized mathematical constant around the world, and is also referenced in popular culture, including in Carl Sagan’s novel, Contact. Theoretical physicist Albert Einstein was born on this day in 1879, while the Theoretical physicist Stephen Hawking died on this day just last year (2018). Around the country, food establishment are celebrating with deals on Pies and Pizza Pies; all in the name of 3.141592653589793238462643383…. Boston Market: Buy one pot pie and a drink; and get a pot pie free with the applicable coupon. Did you know that annually, Christmas trees alone result in 13 million dollars in property damage? Though Christmas tree fires are not common, 1 in every 32 reported Christmas tree home fire results in death, compared to an average of 1 death per 143 reported home fires. 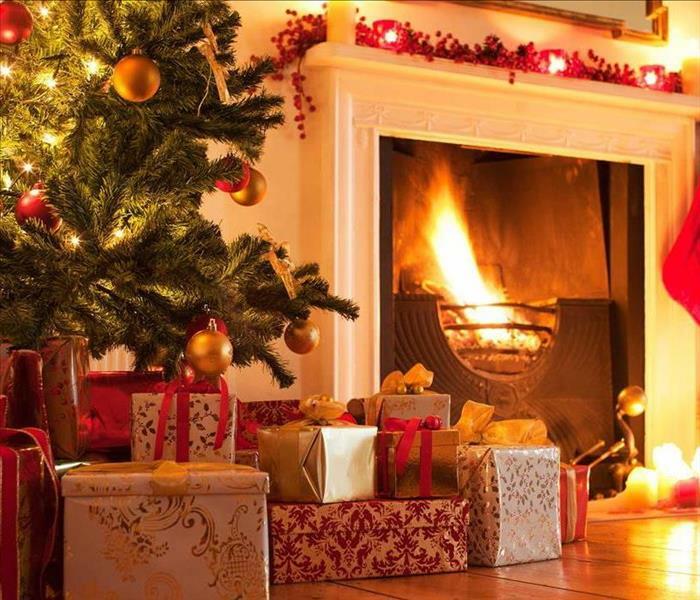 According to the National Fire Protection Association, the top three days for home candle fires are Christmas Eve, Christmas, and New Year’s Day. Here are some steps you can follow to avoid being another statistic in the National Fire Protection Association report during this holiday season. Choose a tree with fresh needles that do not fall off when they are touched. Before placing the tree, make sure you have cut at least 2” from the base of the trunk. Make sure to place the tree at least three feet away from any heat source. Including, but not limited to fireplaces, candles, heaters, lights, etc. When choosing lights, make sure they are not for outdoor use only. Replace any string of lights with broken cords or loose bulb connections. Always make sure any Christmas tree lights are off before leaving the home or going to bed. 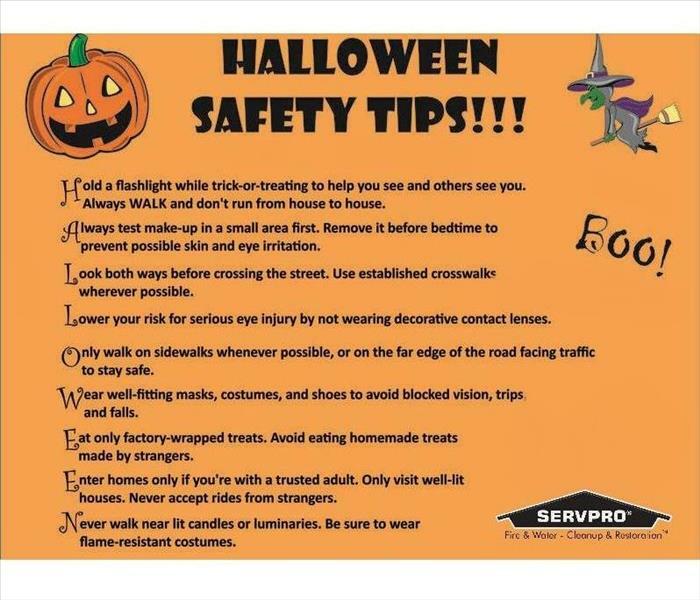 Did you know that each year from 2014 to 2016, an estimated 10,100 fires were reported to the Fire Departments in the US, over a 3-day period around Halloween? It caused an estimated 30 deaths, 125 injuries, and $102 million in Property losses. 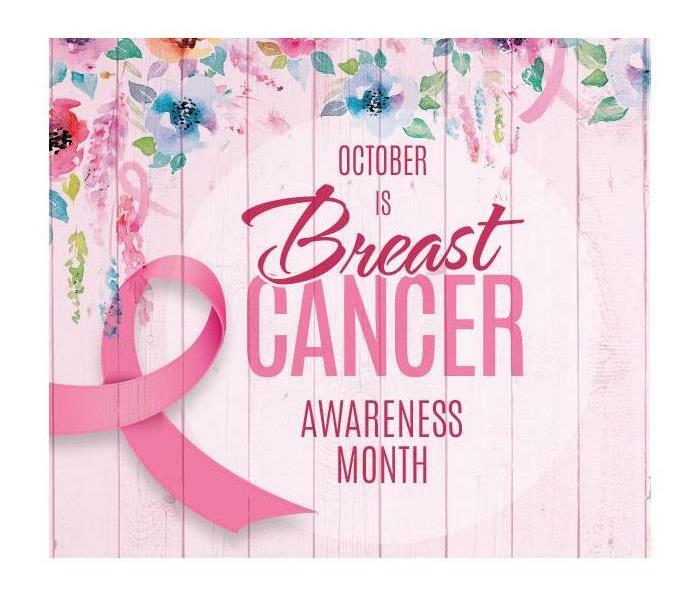 October is Breast Cancer Awareness Month - a worldwide annual campaign involving thousands of organizations, to emphasize the significance of breast awareness, education and research. Breast cancer begins when cells in the breast begin to expand out of control. These cells often form a tumor that can often be seen on an x-rays, or felt as a lump. The tumor becomes cancerous when the cells grow into neighboring tissues or spread to distant areas of the body. Breast cancer occurs almost entirely in women, but men can get breast cancer, too. Being breast aware simply means being knowledgeable about what your breasts look and feel like as normal, being alert for any abnormal changes and getting them checked out by your doctor. It’s as simple as TLC. Touch your breasts. Can you feel anything out of the ordinary? Look for changes. Is there any change in shape or texture? Check for anything unusual with your doctor. No one is familiar with your body more than you are, and everyone will have their own way of touching and looking for changes – there is no special technique and you do not need any training. Emergencies come in many forms. It may require small changes, such as a brief absence from your home, to much larger changes, such as permanent evacuations. Each type of disaster requires different measures to keep your pets safe. Being prepared is the best thing you can do in these situations! Creating a buddy system with your neighbors. In case of an emergency, you will have a trusted neighbor who can check on your animals. Identify shelters or pet friendly hotels that will accept pets, as not all of them do. Locate a veterinarian or animal hospital in the area where you may be seeking temporary shelter, in case medical care is needed for your pets. Have your pet micro chipped and make sure that you not only keep your address and phone number up-to-date, but that you also include contact info for an emergency contact outside of your immediate area. Remember – By failing to prepare, you are preparing to fail. 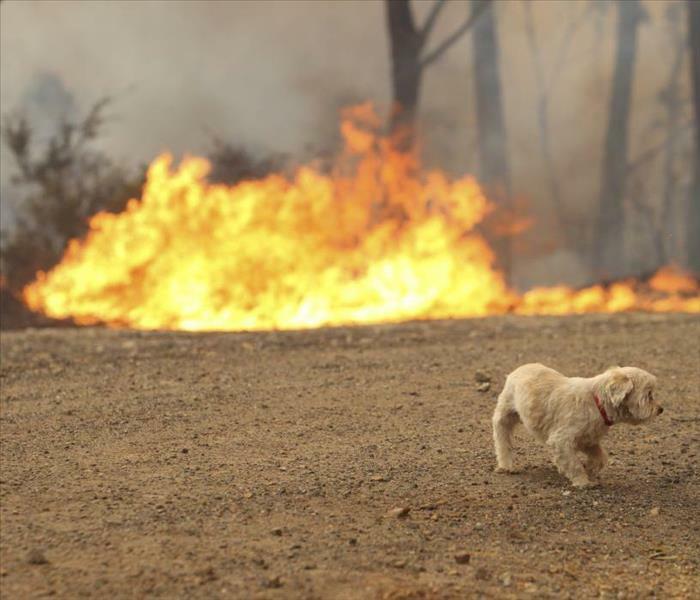 Always make sure you have an Emergency plan on hand, even for your pets! Did you know that the County of San Diego amended an ordinance that requires residents to keep their property free of fire hazards. Residents comply by creating a “Defensible space” around their homes. 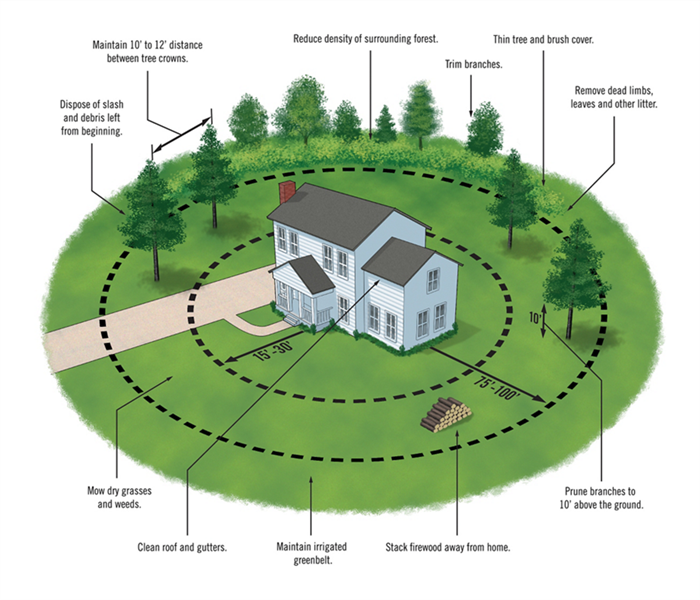 This includes (but is not limited to) mowing and properly maintaining lawn and weeds, removing ignitable trees and shrubs, stacking firewood away from the home and ensuring that the home’s address is visible to all emergency vehicles. WHAT ELSE SHOULD I DO TO PROTECT MY PROPERTY AGAINST FIRE? Eliminate any tree limbs within 10 feet of your chimney. Work with your neighbors to clear shared areas between houses. Avoid planting trees under or near electrical lines. If you have a heavily wooded area on your property, removing dead, weak or diseased trees may improve growing conditions. Check and clean your roofs and gutters on all structures several times annually to remove debris that can easily ignite from a spark. The 4th of July – also known as Independence Day– has been a federal holiday in the US since 1941. The tradition of Independence Day celebrations however, date back to the 18th century and the American Revolution. On July 2nd, 1776, Congress voted in favor of independence. Two days later representatives from the 13 colonies implemented the Declaration of Independence, a historic document drafted by Thomas Jefferson. From 1776 until now, July 4th has been renowned as the birth of American independence, with celebrations varying from fireworks, parades and concerts to more casual family gatherings and barbecues. 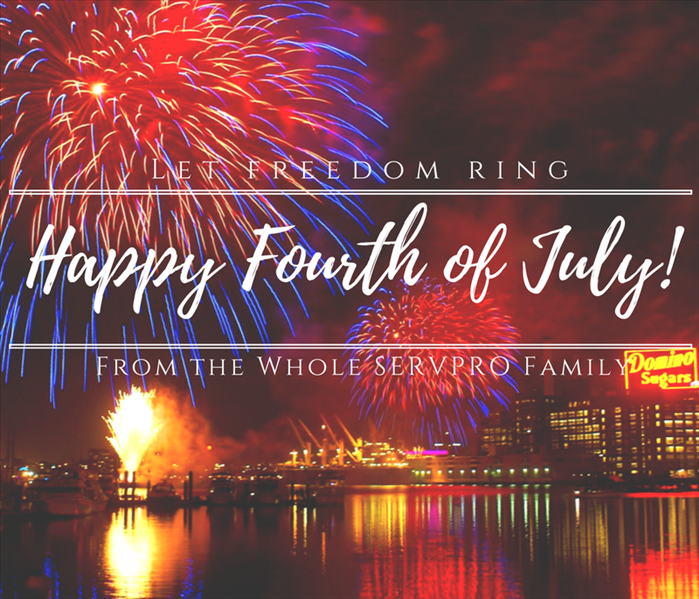 SERVPRO of Del Mar wants to wish everyone a wonderful, safe fourth of July! 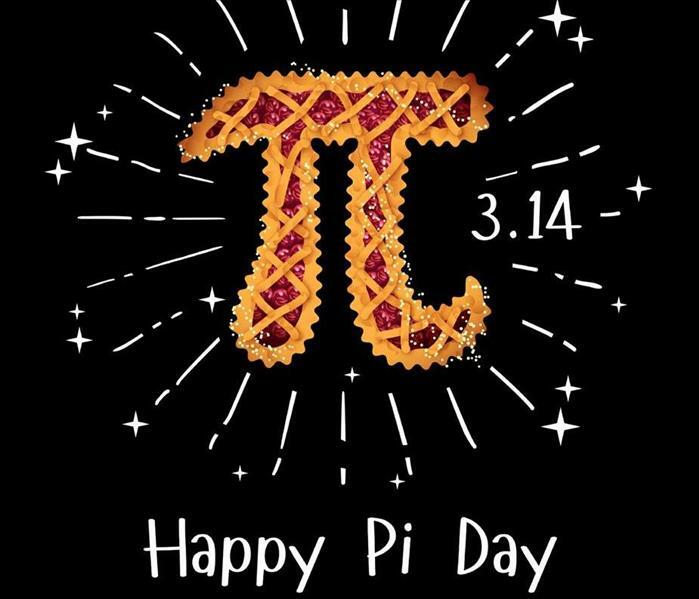 3/14/2019 - Happy Pi Day! 7/3/2018 - Happy Fourth of July!